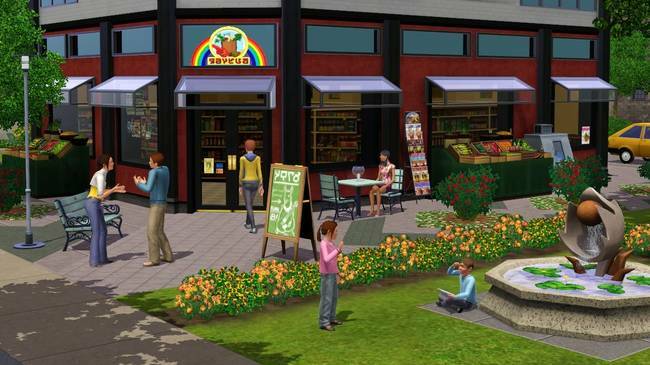 The Sims 3: Stuff Packs are minor expansion packs for The Sims 3 that add new items, clothing, and furniture to the game without implementing any significant changes to gameplay. You will need to download The Sims 3 Base Game to make the Stuff Packs work. If you have it already just ignore what I have said. You can go >>Here<< if you want to download The Sims 3 Base Game. Download The Sims 4 Here!!! where do i save the expansion packs? They download and install – but when I try to run the game it says I need the cd. Any suggestions? you can read installation guide included in every download… if you cant find it just let us know…. thanks i have been wanting this stuff for when i get a computer! i already have 3 sims 3 games but thanks! i cant find the keygen file anywhere! please help!! i downloaded the sims 3 ambitions and installed it. But when i go to play it it says that there is no disc. how do i fix this problem? jonathan, talking about the sims 3 base game? you cant just download the keygen you need to download the sims 3 base game to get the keygen. i cant find the keygen for the stuff pack mainly the fast lane ?? just installed sin lite tides and it says that i need the master suit disk and when i go and play the game it says cannot veirfy game contact support?? jonathan, have you replace the ++crack on the game? um.. how do you replace the crack?? actually the game was just fine but then i installed the update for me to be able to install sunlite tides then that was the time it couldnt work?? And also which CD should be in while I’m playing? The base game or the latest Ex. Pack? what sims 3 stuff pack you are referring to? Hi IMP, you need to click on the links you want to download close the pops. if you do not know how to download games on this site please check the our Frequently asked questions page. Ok i figured out how to install it , now its telling me to insert a disc.? I already have the base game and it’s working but after I installed few expansion stuff pack, then the game can’t work, it freeze and blackout, forced me to quit the game. Can you please tell me the correct way to install the expansion stuff pack? PS: after I installed the expansion stuff, I’d copy the contents in crack/fairlight into the Sims3/Game/bin but it still can’t work. we have check the torrent link “sims 3 supernatural” and it is well seeded (622 seeders and only 79 leechers) please check you internet connection and make sure your download client is not blocked on your firewall..
i always go to iLvid when i click on download. how can i correctly download it? Hi downloaded the packs ,My base game and late night exp pack and high end loft came as a bundle from origins, hence original. Now if i install these will there be any problems? Also do I have to crack the game even though the base game is original and activated in both origins and Sims community? Note: to make you wont encounter any problems dont forget to backup your game… hope this helps… happy gaming!!! Do you also have the worlds to download? Like Lucky Palms and Sunlit Tides? I just install all the sims 3 expansions and apply the cracks, frist work till the outdoor living but when i try to install the other and apply the crack at the end of installation stop working, help please how i can install all the contest and make it work. The list above is in order from oldest (start from the top) to newest (below). make sure you are using the latest cra’ck everytime you install the stuff pack. if you install an older pack after you installed the newer try to recopy the newer cra’ck files not the old one. the DVD when prompted for a key. Sorry, I am confused by this. I never worked with these file types so please help me understand! Thanks for the quick response though! When it says Burn or mount the image (iso file) you will need poweriso or deamontools (virtual drive softwares) to do it… you can find free just search google. you can read https://freepcgamesden.com/faqs/ to know more about how to use poweriso (virtual drive). If you already installed a virtual drive program on your system you can open the iso file like a CD/DVD (double click) and browse the contents to find the folders and files you need. hope this helps. all of this stuff packs must be mounted? I have a mac computer and have tried goggle-ing how to do this but nothing has worked so far (i ave tried disk utility and that doesn’t work) , so.. I have the Sims 3 Installed via my bought disk. I downloaded the World Adventures expansion pack from this website and it downloaded as a file. I cannot open the file and don’t know what to open it with. I’m new to mac computers and downloading games. Could you please tell me step by step what program I need that will read that file, (file is a .winrar file) and also how to install the expansion pack. there are files that say for mac? thats different to a mac laptop? its all the same operating system tho? Try to re-crack the game using the crack of the newest expansion or stuff pack released. Make sure to install all before you replace the crack. Anyway thanks for this wonderful website admin! your work is really amazing! Thank you very much! Also, another question, if i have a legitimate copy of the Sims 3, can I download the expansions from here and play them through my original one? i tried to download fast lane but whem i go to install it it askes for the seriel code but it dosent come with a keygen wat do i do? I can’t find the code in any of the stuff packs here. i download all of them and i can’t find the file .nfo or text that u said. Can u tell me the code here for all the stuff packs? pls reply, thx in advance. @lyl wizz, Hello and welcome! why i can’t open the .iso file? Hello I have no .nfo file when I downloaded High End Loft Stuff pack. Hope you can help. Thanks!